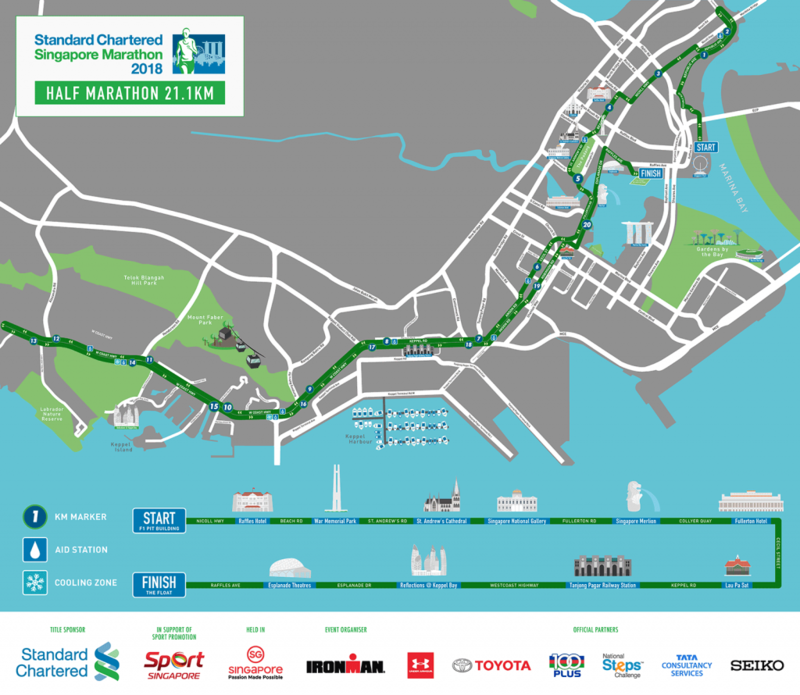 Route Maps Released: Standard Chartered Singapore Marathon 2018 | JustRunLah! 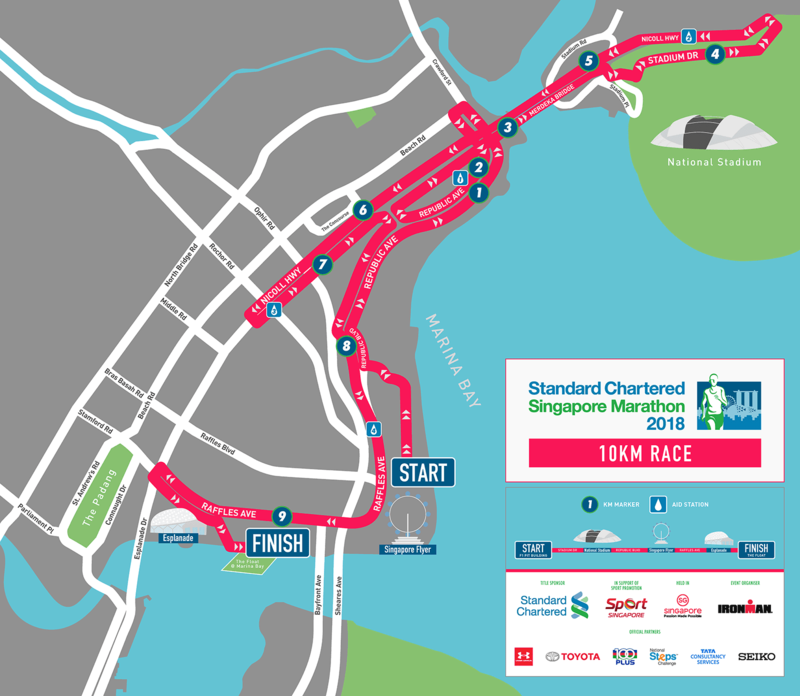 The wait is over for those who want to know where will this year’s Standard Chartered Singapore Marathon take them! Here are the route maps for the long-awaited event! Registrations are still ongoing at www.SingaporeMarathon.com while close to 40,000 runners have already signed up for Singapore and the region’s premier running event. 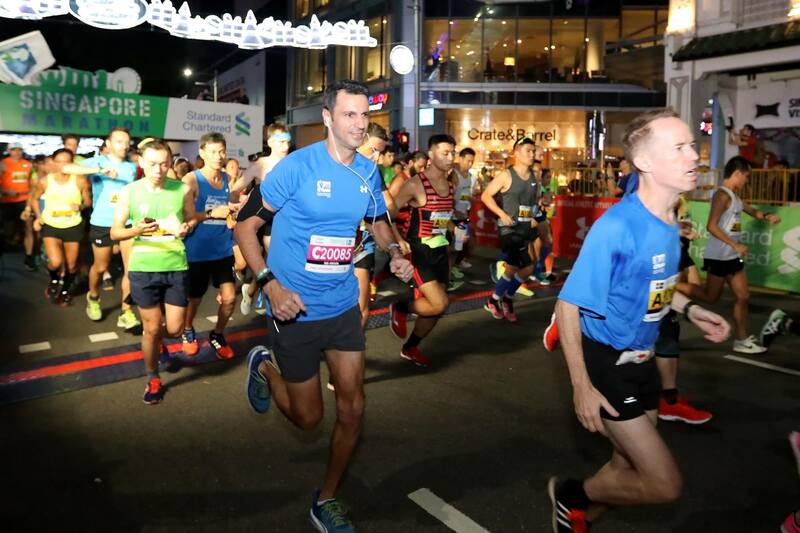 Press Release / SINGAPORE, 04 October 2018 – Singapore’s biggest annual road race, the Standard Chartered Singapore Marathon (SCSM) this year will give participants and the community-at-large a comfortable race that is power-packed with entertainment. Organisers of the popular home-grown event and regions’ only IAAF Gold Label race aims to create memories for everyone when they unveiled exciting new routes for all categories in a new two-day race format on 8th and 9th December 2018. Recognizing that SCSM has grown to become an integral part of the nation’s sporting calendar, Mr Lim Teck Yin, CEO of Sport Singapore believes that the running enthusiasts can look forward to ending the year on a high note. With close to 40,000 registered participants and still counting, organisers are committed to creating an event which showcases the best of Singapore to the world. “All successful sporting events put their participants first, while delivering on world-class standards. All great events share yet another common feature – everyone who takes part actually has fun! This unique proposition has allowed us to sell out our marathon distance first while continuing to engage new runners, families and children. 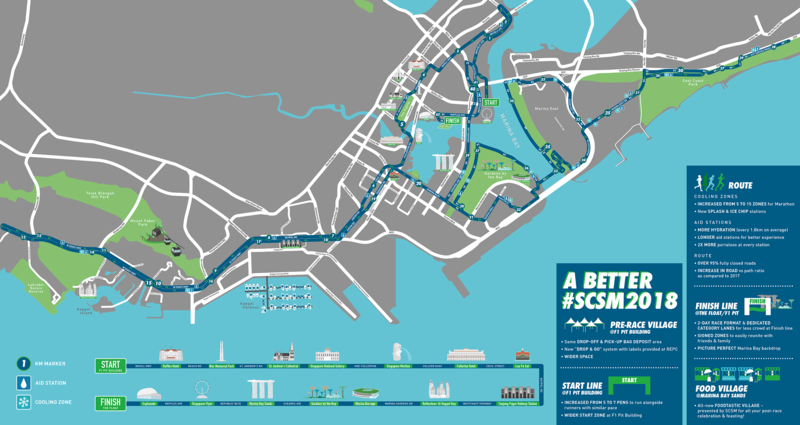 SCSM is the leading race in the region, and we’re confident that our new route, enhanced entertainment and runners’ perks will edge us closer to our goal of joining the elite group of World Marathon Majors,” said Mr Geoff Meyer, Managing Director IRONMAN Asia. The new two-day event sees the shorter distances (Kids Dash, National Step Challenge 5km and 10km) held on 8th December, while the Half Marathon and Marathon categories will take place on 9th December. 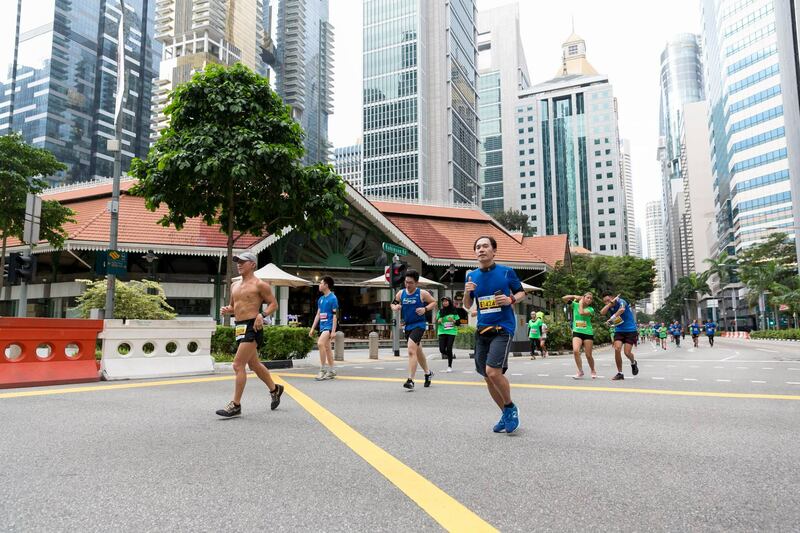 For the first time in the event’s history, runners participating in all four competitive categories will begin from the same start point at the Pit Building and will end at The Float at Marina Bay. The flag-off will be beneath the iconic Singapore Flyer where the weekend’s race village will offer quality programming for runners and supporters alike. The wider space, which is accessible exclusively to race participants will offer easier pen access and the opportunity for runners to set their own pace from the very beginning. 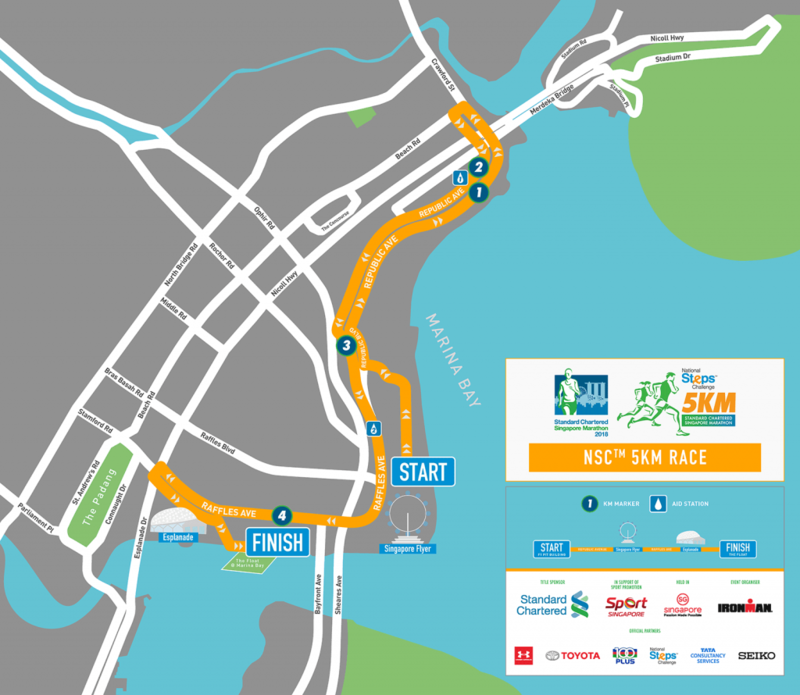 Runners will get to enjoy a more comfortable race experience with full road closures spanning 95% of the route. All the routes have been designed after taking into account both the runners and the surrounding communities’ input. Participants of the National Steps Challenge 5km and 10km categories are flagging off together in the morning of 8th December (Saturday), running the same route towards the Kallang Basin, where participants in the National Steps Challenge 5km race will loop back to run past the Esplanade, while 10km participants proceed towards the National Stadium. 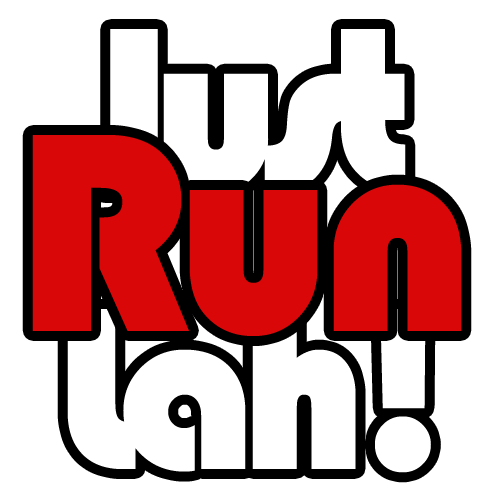 Runners from both categories will end their race at The Float at Marina Bay. Singapore’s biggest children’s race will also flag off on Saturday morning at the Universal Studios Singapore in Resorts World Sentosa, with an all-new route that allows parents to run and have fun with their young ones. Each parent-and-child duo can enjoy awesome views as they whizz past seven exciting zones, from the fairytale wonderland of Far Far Away featuring Shrek and Princess Fiona’s castle to the lush jungles of Lost World where dinosaurs roam. Participants keen to enjoy the thrilling rides and world-class entertainment at Universal Studios Singapore after the run can select a special bundle which includes a Kids Dash run package, theme park admission as well as dining and shopping vouchers. On 9th December (Sunday), Half Marathon and Marathon runners will race past the Padang where the National Gallery Singapore is located, downtown in the direction of the Central Business District and round back towards the Marina Bay Golf course. Towards the end, runners will enjoy the unique view of the city as they race past the Singapore Flyer towards the finish line amidst the spectacular Marina Bay cityscape. The enhanced routes this year aim to provide a memorable and quality experience for runners while ensuring minimal inconvenience to the wider public. Communities affected by the road closures are engaged early. Adequate signs and notices will be put up in advance to inform the public of impending road closures so that they can make plans to use alternative travel routes. Routes to emergency/essential services such as hospitals shall remain accessible throughout the duration of the event. “A lot of planning and effort have gone into making SCSM 2018 a truly exhilarating experience for everyone. We have worked closely with the relevant authorities to reach out to runners and stakeholders, and will continue to do so as the success of SCSM relies on strong partnerships and support from communities to lead an active lifestyle together.” said Mr Meyer. This year, runners can expect an improved bag deposit system as organisers adopt best practices from World Marathon Major races. Making it easier and more convenient for all runners, the number of bag deposit zones have increased with the same drop-off and pick-up points. Participants will also be provided with clear bags and stickers tagged to their bib numbers at the Race Entry Pack Collection (REPC) at Marina Bay Sands Expo and Convention Centre from 5 to 8 December. Information regarding the bag deposit system will be communicated to all runners ahead of race day to ensure awareness of the new processes. There will also be an addition of up to 15 hydration and cooling zones throughout the Half Marathon and Marathon routes, which will feature new splash and ice chips stations, along with the runners’ favourite – mist tunnels. Balancing nutritional intake is key to performing during endurance races like SCSM. In the lead up to the event, runners have been given a number of opportunities to learn more about nutritional needs and planning for their race day intake from partners Coached. Come race week, participants and the public can indulge in meals at the scrumptious Foodtastic Village – an all-new enhanced F&B and entertainment offering which will line Marina Bay Sands from 6 to 9 December. The village will comprise a mix of F&B zones and chill out spaces where runners can indulge in specially curated meals and take in views of the city as they share their race day experience with friends and family. At the race, an unprecedented 26 entertainment points will be set up to drum-up the race atmosphere. Performances by local bands, street performers, and cheerleaders will amp up energy levels and spur on runners. Is tnere cash prize for those who can finish the race first?